More than 12,000 people signed a petition to move Halloween to the last Saturday in October. America is a hotbed of controversy. We are, if anything, forever in disagreement. We are a nation of movers and shakers, of people who believe in something and get it done, and each one of us somehow feels a constant sense of grossly overestimated confidence that we can singlehandedly recraft the very foundations of existence. Okay, perhaps changing the date of Halloween is not recrafting the very foundation of existence, but you get the drift. People have ideas. They are inspired. They look at this world and see what is, and think instead, what could be? And how can we get there? It's moments like that that surely inspired the Halloween & Costume Association, a New Jersey-based nonprofit founded in 2005, to launch a petition this week to move the holiday's date forever. So far the group's efforts have garnered more than 12,000 signatures on Change.org. The petition, titled Join the Saturday Halloween Movement, reads, "It's time for a safer, longer, stress-free celebration! Let's move Halloween to the last Saturday of October!" Organizers with the Halloween & Costume Association say this is 100 percent not a joke. It's actually about safety. The petiton cites its reasons in the form of statistics: there are 3,800 Halloween-related injuries each year, and 63 percent of children don't carry a flashlight while they're trick-or-treating. How exactly these statistics would differ if the holiday was moved to a Saturday remains unclear, excepting some's apparent argument that in the universe of Saturday Halloweens, trick-or-treating would hypothetically happen during the day. 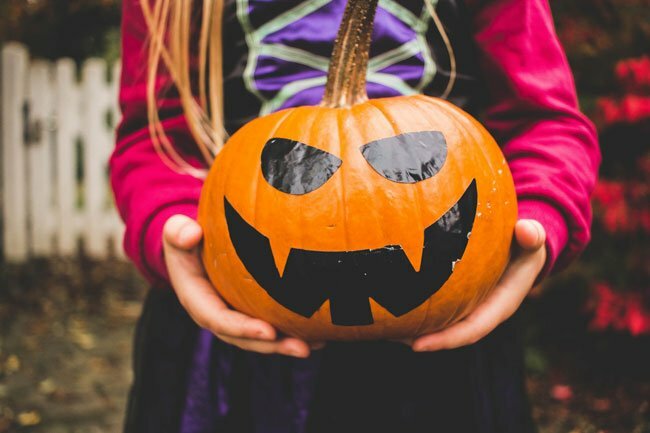 "We feel the change is inevitable and that in the end, the logic behind creating a safer, longer Halloween will prevail," HCA chair Kevin Johnson said in a statement. Halloween has been celebrated on October 31 since the mid-19th century. The date's origin comes from the holiday's literal meaning: All Hallow's Eve. Halloween has historically been celebrated on the eve of All Saint's Day, which falls on November 1, the date at which it has been celebrated since the seventh century A.D. While moving Halloween to the last Saturday in October might be a great idea, the situation is a lot more complicated. Currently, the federal government doesn't recognize Halloween as a national holiday, relegating its status to the lowelier sector of commercial holidays instead. In order for the Saturday Halloween Movement's dream to come to pass, Congress would have to pass a law adding Halloween to the official calendar, and then they would have to take a vote on when to celebrate it. We can easily see this becoming the partisan issue of 2019. Will it determine the next election, or perchance, the course of our history? Who knows? Seriously, you never know with this country. Do you think Halloween should be permanently moved to the last Saturday in October? Why or why not? Throw us your hot take, down in the comments. It's gonna be a cold one, folks. Ditch your costume and try one of these ugly Halloween sweaters!